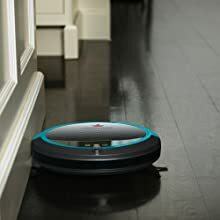 The SmartClean robotic vacuum from Bissell gives you automatic, effective cleaning whenever you want, all over your home. 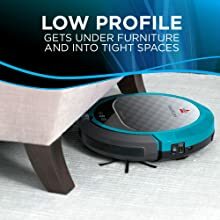 It features powerful suction combined with a brushroll and edge cleaning brushes to pick-up dirt, dust and hair so you don’t have to. 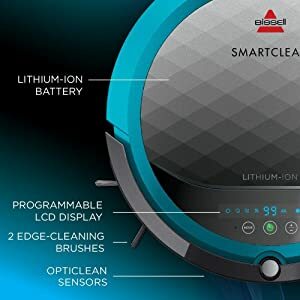 To deliver a reliable, more complete clean, the SmartClean Vacuum features dual spinning edge brushes for edges and corners, a rotating brush roll to unseat and lift embedded hair and debris, and strong suction to gather loose dirt into the dust bin. 4 different cleaning patterns for customized cleaning. 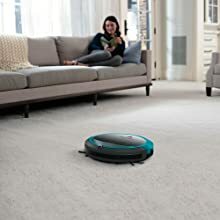 Recognizes and adapts to clean multiple floor types including hard floors, low pile carpet, laminates, and tile. 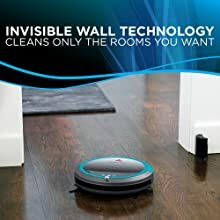 Keeps the vacuum in the rooms you want to clean and out of the ones you don’t. 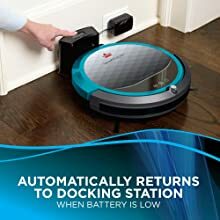 Automatically returns to the self-charging docking station when the Lithium Ion battery is low. Seek out dirt and debris, performing concentrated cleaning in heavy traffic areas. 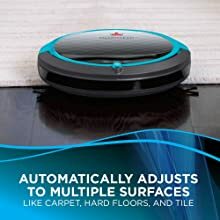 Delivers lasting, powerful, hands free cleaning – up to 80 minutes of run time on hard floors. 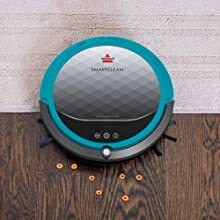 Schedule the SmartClean to go over your floors while you’re away so cleaning doesn’t get in the way of your everyday life. 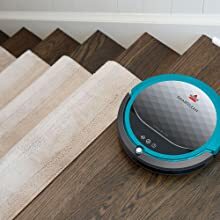 Detects cliffs like stair edges to keep your vacuum from getting stuck or going down the stairs.